Like straight out of the pages of Conrad’s Heart of Darkness, we slowly motor up the country’s mightiest river and forge deep into the jungle on a little-known tributary searching for a man and a place. After a relaxing day at the beach, we return to our home away from home in Livingston to soak in the last bits of civilization before heading up river into the jungle. 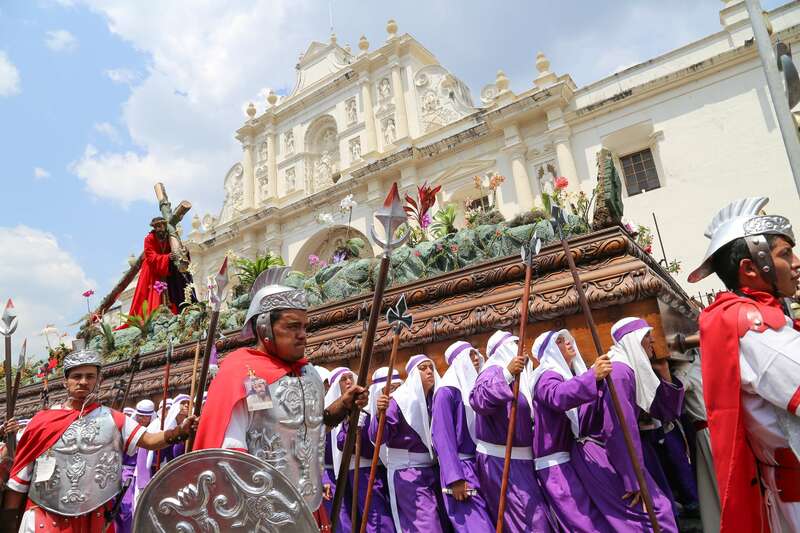 The second in a series of photo essay slide shows covering the world renowned ceremony and pageantry of Antigua’s Semana Santa (Easter Holy Week). The first in a series of photo essay slide shows covering the world renowned ceremony and pageantry of Antigua’s Semana Santa (Easter Holy Week). We found ourselves in Antigua, Guatemala on New Years Day, completely caught off guard by the mayhem ensuing in the city center. 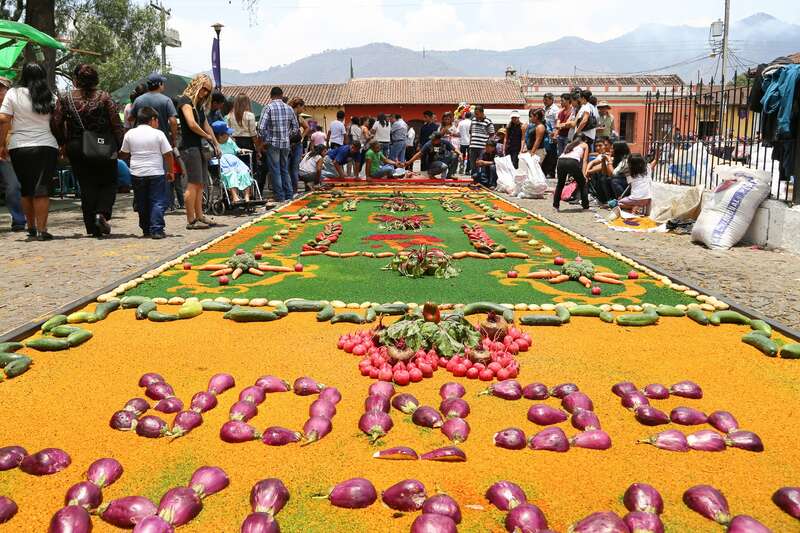 We spent the first four days of 2014 in utterly charming and supremely picturesque Antigua Guatemala, Spain’s former seat of power in Central America. 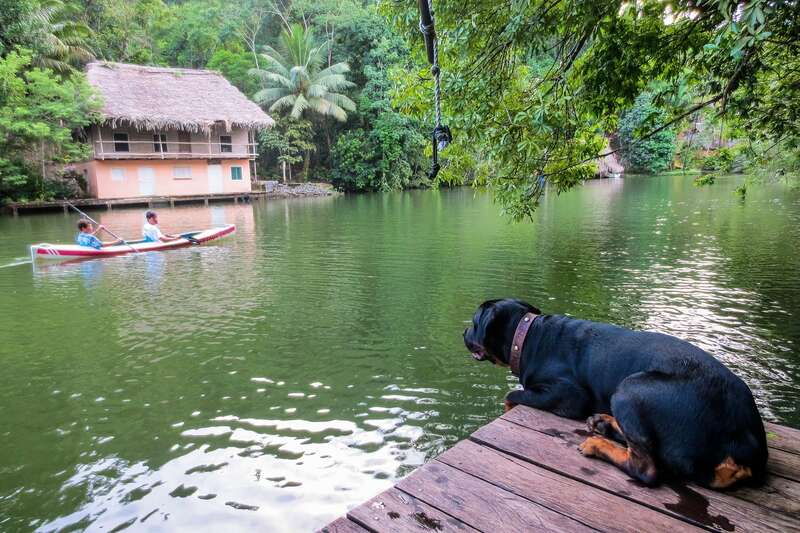 Our first trip up the Rio Dulce, with Lori’s brother Dan along for the ride. We hit up Livingston, Finca Tatin and Fronteras (aka Rio Dulce Town). We took advantage of Lori’s holiday break to retrace old steps, explore new areas of Belize and do some traveling through Guatemala with Lori’s brother. Here’s an overview. We skip town on Pan-American Day weekend to break on through to the other side…of Amatique Bay…to visit the funky and incredibly charming seaside town of Livingston, Guatemala.